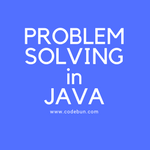 Write a java program using Hashmap (Employees & Designations). A Company wants to obtain employees of a particular designation. You have been assigned as the programmer to build this package. You would like to showcase your skills by creating a quick prototype. The prototype consists of the following steps: Read Employee details from the User.